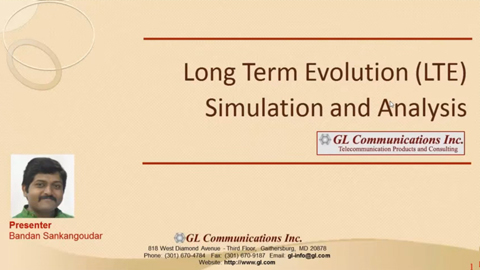 GL offers an End-to-End 4G LTE and IMS Network Simulation Test Suite with all components such as eNodeB, MME, Serving Gateway, PDN Gateway, HSS, SGSN, PCRF, PCEF, AF and others to simulate both E-UTRAN and EPC (Evolved Packet Core), allowing complete testing of the LTE network. The test suite also allows LTE to interwork with 2G/3G networks simulating various circuit switched and packet switched traffic via IMS core. The test suite is capable of simulating multiple UEs and IMS core elements such as P-CSCF, I-CSCF, S-CSCF, PCRF, MGCF which provides the IMS core network. With the help of mobile phones, and other simulated wireless networks, the VoLTE Lab setup can be operated in real-time for making VoLTE calls and also for interworking with PSTN and VoIP networks. One can setup a complete virtual real-time network simulating all the network elements, or any of the network elements in the above architecture replaced with user's DUT to perform single interface, multi-interface, or wrap-around testing. Complex scenarios such as inter-network, user roaming, handovers and location services can be achieved easily. The lab system can operate with real mobiles, or simulator user profiles and can include multiple eNodeBs configurations to handle multi-UEs. 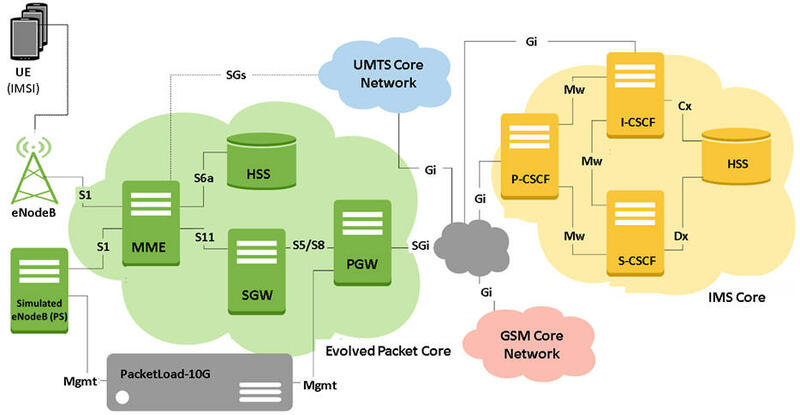 Simulate multiple instances of nodes (MME, SGW, and PGW) in LTE network and nodes (P-CSCF, I-CSCF, S-CSCF) in IMS network to perform functional and load/stress testing. Verify your latest mobile features over the network with various types of traffic generators and receivers. 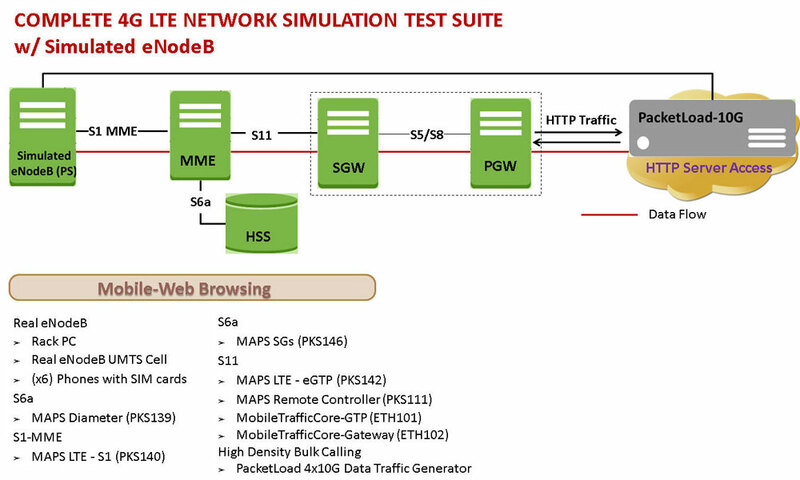 MAPS™ GTP mobile traffic (ETH101, ETH102) simulation support allows generation and verification of data traffic such as Email, FTP, Web (HTTP), Video, and transparent access to the IP network. In addition, with MAPS™ PacketLoad Server appliance massive simulation of UEs (up to 500000) with high density (up to 4 Gbps or 40 Gbps) mobile traffic (stateful HTTP/PCAP) is easily achievable. CSV database system is used for massive UE simulation. The CSV file is divided into three sections: GSM, UMTS, and LTE identified by Subscriber Type variable. And “n” number of UE configurations can be saved within a single file which can be shared across 4G/3G/2G networks simulating inter-networking calls, roaming calls, VoLTE, data sessions, and bulk GTP traffic generation. What you need for setting up 4G LTE + IMS Lab?